Imagine this: you just attended a concert at your local concert venue. Assuming it was a lot of fun, you want to share the experience with friends and family, so you post the photos you took on Facebook before going to bed. When you wake up the next morning, you sip your coffee and read the online edition of your local newspaper. Suddenly, you see in an article about the concert you attended—containing your photo—taken right from your private Facebook profile! You never registered your copyright to these images, so can you still file for a DMCA Takedown request? The answer is, yes. Will it be successful? The answer is, maybe. Although you did not register the copyright to your photo, you still have exclusive rights to your photo. Most photos, videos, or written content people generate and post do not end up being registered with the copyright office, but this does not mean they aren’t subject to copyright law. Providing proof of your copyright can be as simple as providing the ISP host with the image and date posted or direct URL and an affirmation you are the copyright holder. This applies to any content you have produced, not just social media material as provided by the example above. If, however, you encounter a host who sends back a counter-notification letter, notifying that copyright was not infringed, you would have 10-14 days to file a lawsuit. In order to do so, you would need to register your copyright. Often times, registering a copyright with the standard $35 application fee can take 6 weeks to 6 months, which long exceeds the 10 to 14 day statute of limitation. Even with the expensive expedition option offered, which costs $760 in addition to the standard copyright application fee, it is not guaranteed to provide you registration within the 10 to 14 day statute of limitation. 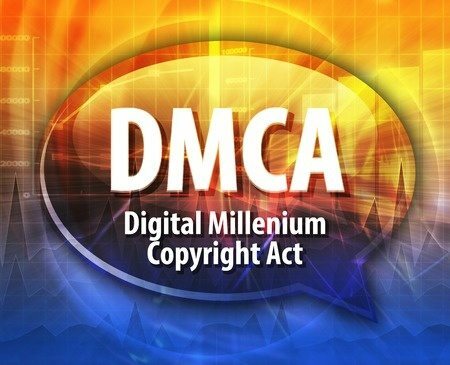 In conclusion, while you can send a DMCA takedown request with regards to unregistered copyrights in attempt to achieve protection of your material, a registration is required for a lawsuit. It is highly encouraged that if you have material you really want to protect, register your copyright before its publication.